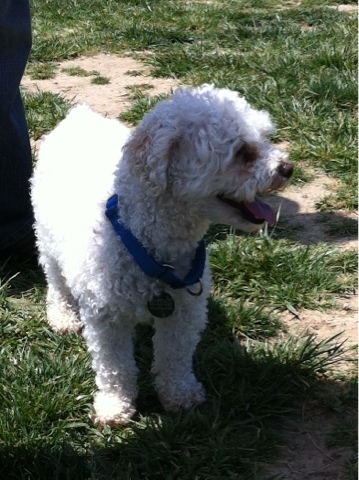 Caspian is a 2-year-old poodle mix my friend PC and her boyfriend recently adopted. We were really excited, because we don't have many friends with dogs. Most of our friends are immigrants living in rental apartments, working crazy hours in Silicon Vally, and/or just starting a family. Owning a pet is usually low or nonexistent on their priority list. 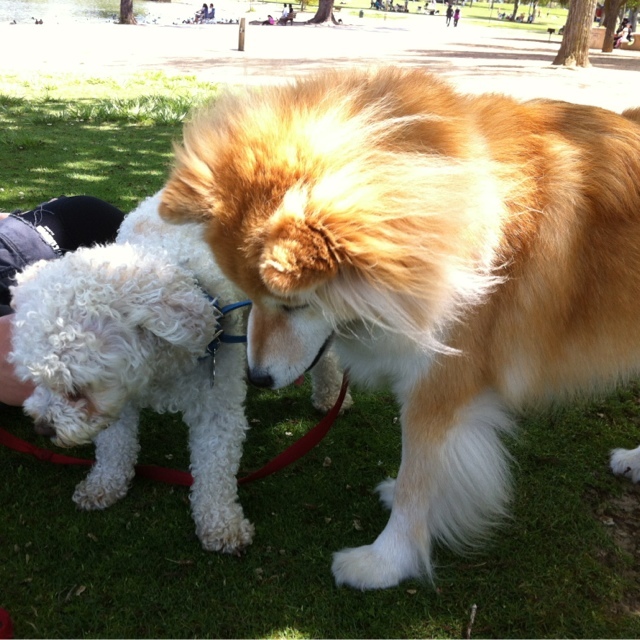 We took Maya to a playdate with Caspian last Sunday. Though they didn't interact much, they both had a good time at the dog park. 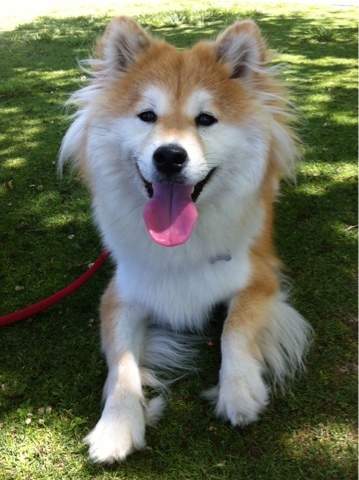 Caspian did well with other dogs and would check back with his owners every now and then. I can tell there's already a strong bond between them. According to his owners, Caspian was found on the streets, taken to the shelter, then placed in a foster home by a rescue. He's suffering from some separation anxiety when my friends leave for work, but they are working hard to overcome the issues. We hope he can soon realize he's now with a loving forever home and no need to worry about losing his humans ever again!